Having lived in Los Angeles, New York, San Francisco, Chicago, and Miami, I have had the opportunity to become familiar with several art galleries. ART2art, is unique in what it has to offer. As with many galleries, it offers local artists the opportunity to display their talents. It also maintains an inventory of artworks from around the world. Many galleries are attended by the top 2% of the population and you will find Ultra expensive works of Art at prices far out of reach for most people. ART2art, has many works below the thousand-dollar mark. 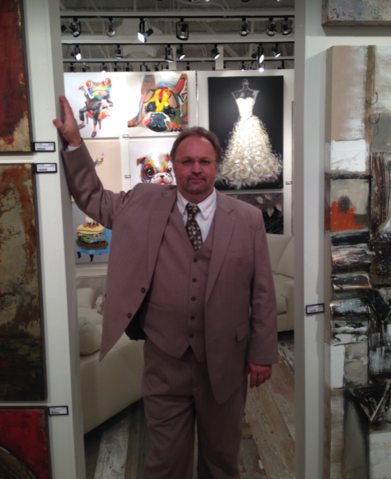 Heiko Katins, the CEO of ART2art Inc, has spent years in the art industry and has accumulated thousands of interesting works with hundreds on display at the gallery. I truly believe that there is something for almost everyone in the inventory or that Heiko can obtain as a custom work. Heiko has added some quality furniture. Sofas, chairs, sectionals, tables and a multitude of accessories. All of these at below wholesale prices. They do professional framing, and gallery wrapping. They have access to any kind of frame you can imagine. There is even hand-crafted jewelry on display. Heiko has assembled a diverse staff of talented people to assist you when you visit, they are there to serve you and respond to any question you may have. The friendly, welcoming atmosphere combined with a knowledgeable, no pressure experience, make ART2art the kind of place you can visit often and just enjoy the constantly changing works of art. If you are having trouble choosing between some works of art, Heiko can arrange to bring the pieces to you and let you decide what truly works best in your home or office. They also offer delivery and a professional hanging service. In the world of Art, as with most of life, you can’t be all things to all people. You probably won’t find $20,000 dollar price tag or an old master’s original hang on display, but you fine some wonder art at a great value. To all our customers: We will be available for any Question that you have. My Team and myself are committed to the BEST SERVICE for you. Order Online or Visit Our Gallery - and be assured - our prices are designed to make our Artwork and Furniture leave our Warehouse fast. Come today and take Home the Art you like. Or Call for an Appointment outside these hours.